Here's a quick lesson on Japanese pop culture: Yamaha sells a software called Vocaloid, which provides the digitized voice of a singer and allows users to incorporate it into their own music productions. Each singer is represented by an anime mascot, to give a face to the voice. In the second wave of Vocaloid products, licensee Crypton Future Media introduced Hatsune Miku, who quickly became the most popular Vocaloid due to her voice and character design. She is essentially a virtual idol: singing in thousands of songs, being featured in tons of fan art, and even performing "live" in concert thanks to advanced holographic technology, way before anyone brought Tupac back to life. It's quite a fascinating phenomenon, but of course that means there's merchandising galore. One product is Sega's rhythm game series Hatsune Miku: Project DIVA, which is a cuter version of Elite Beat Agents. There are two main PSP games in the series, as well as a few spin-offs here and there. 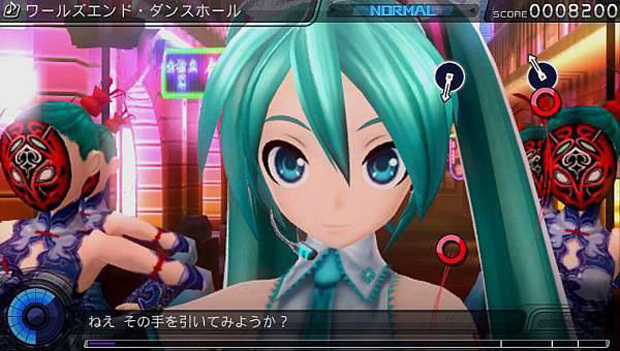 The next major game in the series, Hatsune Miku: Project DIVA F, is being made for PlayStation 3 and Vita. Though no previous game in the series has been released outside of Japan, there was actually a localized demo of Project DIVA F for Vita present at Sony's E3 booth. It's hard to tell whether this is because Sega actually plans to bring the game west or whether Sony just needed another Vita game to fill up booth space. Either way, as the only contributor who had ever played the original PSP game, it fell to me to take Project DIVA F for a spin. 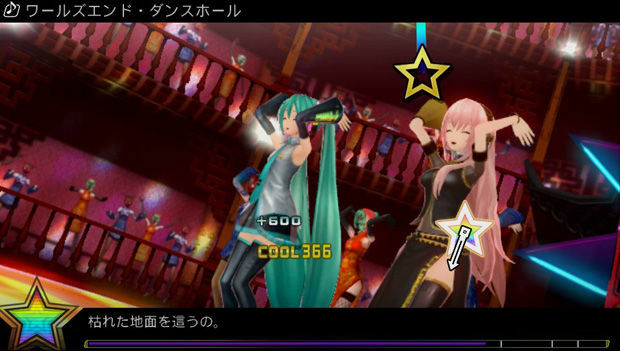 In Project DIVA F, players pick from a list of some of the most popular Vocaloid songs, including some sung by characters other than Hatsune Miku. As the music video plays, face buttons fly in from around the screen and land in corresponding spots, with timing indicated by a minute hand spinning and pointing up when it's time to press the button. The previous game also added the need to sometimes hold a button or press a d-pad direction as well. In general, it's easier to just time the button presses with the beat than to rely on the visual timing. Players are then rated on accuracy and can build up combos if they don't miss the buttons. Doing well unlocks harder difficulties and numerous outfits. I played the song "Cat Food" by doriko (the second song in the trailer above) on two difficulties, and in terms of the core experience, Project DIVA F is remarkably similar to the past two games. Sure, the graphics are somewhat better, taking advantage of the Vita's power to render more colorful and energetic scenes, even if Miku and friends are somewhat plastic. But considering the need to focus on the buttons flying in from anywhere on the screen, the pretty visuals in the background are at best ignorable and at worst distracting. Some changes are made to the scoring system, such as a "Technical Zone" in which combos earn bonus points. One section of a song, "Chance Time," has been slightly altered. Instead of happening at a specific time towards the end of the song, this point bonus section is activated by filling a gauge up. The function of "Chance Time" still remains quite frustrating: it provides a massive point bonus that can only be fully taken advantage of by entering it with a high combo and not missing any buttons. Messing it up by missing only one or two notes can be the difference between getting a great ranking and just barely passing the song. These problems aren't helped by the accuracy required, which has not changed at all since the first game. The level of precision required from the player is sometimes astounding. 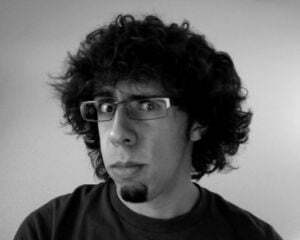 For someone who grew up playing two instruments, has played rhythm games for years, and likes to think he has an excellent sense of timing, it can sometimes be shocking to play a Project DIVA game and be graded so harshly. This is why Project DIVA F's main gameplay "innovation" seems so out of place. Though the game is also coming out on the PS3 in Japan, the Vita version has an additional method of input: a star that must be hit with the touch screen. When I first saw this, I thought it might remind me of the good times I had with Osu! Tatakae! Ouendan, but its implementation is really unintuitive. You don't actually tap the stars -- you swipe, anywhere on the screen. That's right, in a game that requires intense precision, Sega has decided that the best way to use the touch screen was to require an imprecise swiping motion. Whoever thought that this was a good idea needs to be fired. Sega claims that it might actually consider bringing Hatsune Miku: Project DIVA F stateside, noting that there was some "good" buzz from those at E3 who actually played it. While it's always cool for fans to get something they like localized, I'm not sure what the point is. If you've read this far, I'm impressed that you're actually interested enough in the game, considering the internet's feelings against Japanese games as of late. Hatsune Miku and Vocaloid are niche concepts in America to begin with and I can't see a Project DIVA game selling well enough for Sega, in light of its current economic state. Those who might want to play it are likely to import it anyway, since players only need to figure out how to navigate the menu, making it a very import-friendly game. Even then, once you consider the marriage of strict timing and imprecise touch screen control, it would probably be more fun to pick up the first PSP game on the cheap.